News spread quickly yesterday afternoon about the untimely death of Amy Winehouse, the bluesy British singer who took the world by storm in the latter half of this past decade. 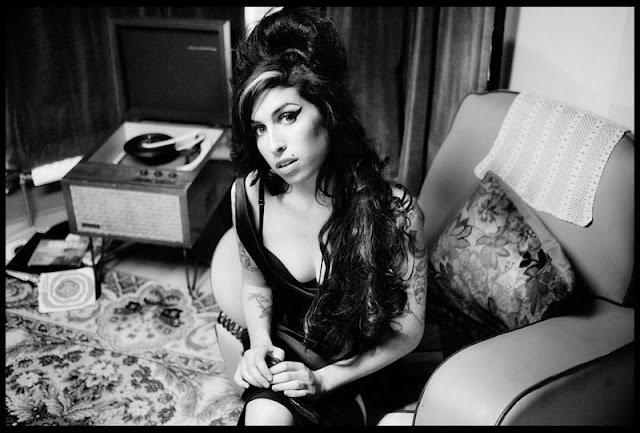 Though she only released two albums, Winehouse was five-time Grammy winner and internationally famous, especially for her sophomore release Back to Black, which brought us instant classics like "Rehab," "You Know I'm No Good" and "Tears Dry On Their Own." She stood out against the auto-tuned techno mixes with her sultry tone and jazzy tracks. And, of course, who could ever forget that beehive hairdo? As of now, the cause of Winehouse's death is unknown. Obviously, she was infamous for her constant battles with addiction and substance abuse, but instead of focusing on her demons, let's just take a moment to soak in her brilliant music.